Gordon is committed to racial and ethnic diversity. We have made great strides towards a global vision by incorporating people of differing backgrounds not just in the student body, but also within the faculty, administration and board of trustees. We offer many innovative programs that promote diversity on campus as well as involve students directly in inner-city settings. The success of these programs has gained the Racial Harmony Award, awarded by the Council for Christian Colleges and Universities (CCCU).  President R. Judson Carlberg comments on the honor that, "We're proud of the award Gordon received for efforts to promote cultural understanding, but this is one marker on a journey. It is our prayer that these programs are only the beginning of much greater achievements ahead." A key contribution of the program is that the Clarendon Scholars challenge members of Gordon to develop open minds as they live in community and prepare for positions of leadership and service. The Psychology Department sponsors "Igniting the Mind," a series of workshops to excite Lynn youth with interest in science studies. In the program's short history, Gordon in Boston students have volunteered more than 5,000 hours and have served more than 2,000 people throughout inner-city neighborhoods. Opportunities range from highly academic settings for independent study and writing such as that of the Oxford Honors program, to the Gordon in Orvieto program, an arts-oriented course of study in Italian Renaissance cultural history, the Italian language, and the study of studio, history and theory of the visual arts in Orvieto, Italy.